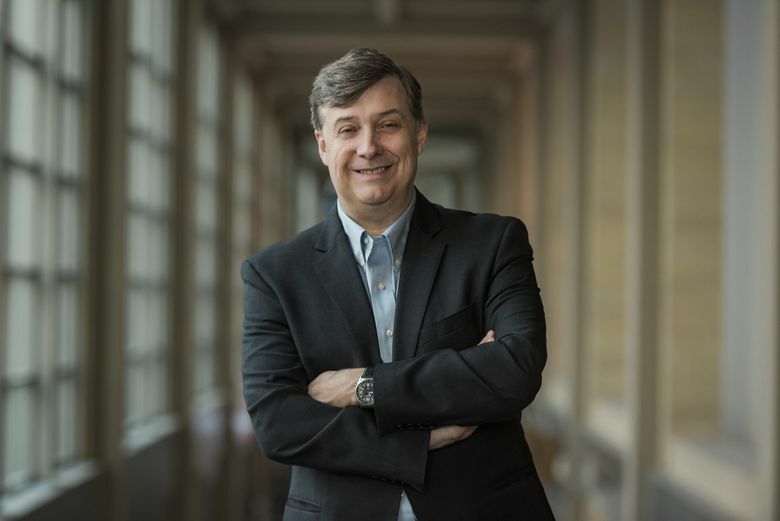 On the heels of last April’s announcement that Seattle Symphony Orchestra Music Director Ludovic Morlot will step down in 2019 comes another major change for the organization: SSO President and Chief Executive Officer Simon Woods will be leaving in January to become CEO of the Los Angeles Philharmonic. The L.A. Phil is generally regarded as one of the most important orchestras in the U.S. Its dynamic programming and vast resources have positioned it as a leader in the music world, one that other orchestras look to for inspiration. L.A. Phil shares with the Woods-era Seattle Symphony a broad, creative emphasis on innovation and community engagement. The difference is L.A. Phil’s more epic scale, with almost 300 concerts a year (compared to 200 at SSO) and annual revenues of $125 million ($32 million here). Yearlong concert scheduling between two venues brings in more patrons than L.A. Phil says it can count, while Seattle Symphony says it reaches 500,000 people through various activities. Woods’ departure comes at a time of overall leadership change at Seattle Symphony. The charismatic Danish conductor Thomas Dausgaard will succeed Morlot at the start of the 2019-20 season. Longtime Board Chair Leslie Jackson Chihuly will be replaced by Chair-Elect René Ancinas next season. A search is underway for a new CEO. Woods, 54, was appointed Seattle Symphony Executive Director in 2010 and took the reins in May 2011. He leaves a legacy at SSO of progress in artistic and community-focused endeavors. Working closely with Morlot, Woods helped elevate the global stature of the orchestra with landmark projects, including a critically-acclaimed, 2014 performance in Carnegie Hall of John Luther Adams’ Pulitzer-winning “Become Ocean,” which SSO commissioned and premiered in Seattle’s Benaroya Hall. Woods also oversaw the 2014 launch and early success of in-house record label Seattle Symphony Media; the popular Masterworks series representing the breadth of classical music repertoire; audience-expanding initiatives such as abbreviated Untuxed programs and late-night [untitled] concerts; the genre-bending Sonic Evolution; and extensive new education and community-engagement projects that serve schoolchildren, homeless people, prisoners and more. During Woods’ tenure, the orchestra won three Grammy Awards. Woods’ philosophy about programming both mirrors and has been influenced by L.A. Phil’s efforts to promote individual concert programs as singular events attractive to unique, if overlapping, populations. “For me, it’s not just thinking about how you sell tickets, but how you build relationships, how you mix programs and take the symphony to people in their community,” Woods said. The London-born Woods became SSO’s chief in part because of his excitement about Morlot’s presence. From the start, he says, they were in lockstep about the path forward. Woods is taking charge of L.A. Phil on the eve of its 100th anniversary. Next season will see the world premieres of no less than 50 new commissions and an enormous slate of activities in the orchestra’s two venues, the Walt Disney Concert Hall and the Hollywood Bowl.